I loved Maraehakao as a child. It was my second favourite place to go camping, and it was somehow always magical and strange, as the location would suggest. It is also my topic for day twenty one, given to me by my dad, Charles. Emmeline grew up in the shadow of a volcano. Maraehakao was the name of the bay nearest to the secluded farmstead on the edge of the pohutukawa cliffs that Emmeline called home. Some evenings her father and her mother would take her for a walk through the bush and down to the bay. They would play in the caves at the foot of the cliff, and walk along the edge of the ocean, collecting pebbles and strange shells. In the centre of the bay, far out across the open waters, the volcanic island never ceased it’s smouldering. 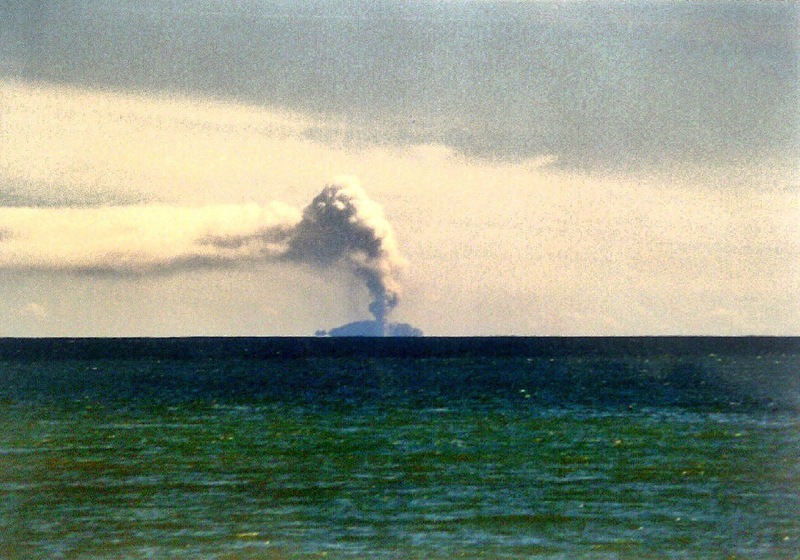 White Island they called her, for she remained hidden most of the time beneath a plume of white smoke and steam. But Whakaari was her true name, and she was the largest and most active of all volcanoes in New Zealand. Above sea level she raised her head a mere one thousand and fifty three feet, but her appearance was misleading. From the deep floor of the ocean to her highest peek she climbed a staggering five thousand, two hundred and forty nine feet in total. Emmeline knew this from her geography studies at the tiny country school she attended. “A gateway?” Emmeline repeated Charon now, as she got off the bus with him close behind her. “Yes, the white island is one of the biggest gateways between your world and mine.” They were discussing this as they walked up Emmeline’s street toward her house. But all of a sudden, Charon put a hand on her shoulder to stop her. “Emmeline,” he said, calling her attention softly, and pointing ahead of them with dismay. In front of the house were several sets of flashing blue and red lights, clear as day against the dark night sky. “They didn’t!” Emmeline whispered in shock. “Idiots,” Emmeline frowned, hurt that her friends would have called the police and betrayed her, the very thing they had been asked not to do. “But where do we go now?” Emmeline asked. She knew she was tired, and guessed that she was whining, but she was almost beyond caring. “You don’t know her, She was a friend of your grandfather.” He knew his mention of her grandfather would capture her interest, and when he turned to walk back the way they had come, he expected her to follow. “What about the hat?” Emmeline asked suddenly, still looking down the road toward her house. “The hat they left on my bed when they trashed the house? We shouldn’t let the police find it.” She remembered the urgency with which her grandfather had burned the little bonnet she’d found when she was eleven. Emmeline nodded and finally walked away in defeat. By the time they had trudged through the snow back down to the main road and hailed a cab, it was close to 4am. maraehako…yes, we all have great memories of that place. I will be back there in a few weeks time… Yes, a wonderful read, and great inclusion of NZ..! Well done.